I've had a PS Vita for a little over a year now and, despite having a dreadful battery life and a game library that seems to consist mostly of dungeon crawling waifu games, I have had a lot of fun with it. I have particularly enjoyed the ability to purchase titles from older systems, like the original PlayStation and take them on the move. The PlayStation Store often has some great sales on with heavy reductions on some fantastic titles, including many PSP titles. 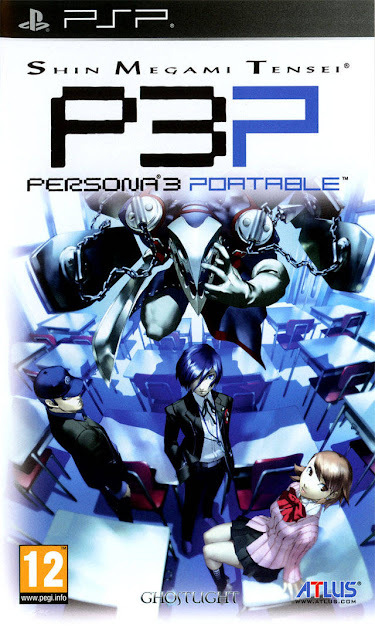 One sale in particular resulted in me picking up the PSP remakes of RPGs Persona, Persona 2: Innocent Sin and the game I want to discuss in this article: Persona 3 Portable. You see, I was reluctant to pick up Persona 3 Portable because the PS Store was demanding full price, but the sale price was more than reasonable. Those who know my extreme fondness of the Persona franchise might find this lack of confidence in a full price purchase confusing. Basically, I thought Persona 3 Portable was a stripped down version of one of my all-time favourite games: Persona 3 FES - an enhanced re-release of Persona 3 - and I guess you could say that is exactly what it is. But Atlus did everything to make it a unique Persona 3 experience in its own right. After finishing Persona 3 FES, my aim was to then finish Persona 4 Golden. But I just couldn't leave Port Island and Tartarus behind, so I loaded up Persona 3 Portable and started a new game, and I was impressed immediately. 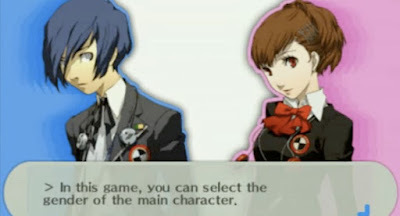 I was always intrigued by the most notable exclusive change to P3P: an option to play as both a male and female protagonist, but what I thought was particularly great was the inclusion of a text before you chose the protagonist's gender which basically says that the female protagonist is 'not just for female players, but for previous players of Persona 3 who want to experience the game from a different perspective' and I really give the developers a massive thumbs up for this. It's just brilliant attention to detail and absolutely correct because I did indeed choose the female protagonist as I wanted to access new social links and dialogue options not available while playing as the male protagonist. This breathes new life into a storyline that I had already witnessed once before. 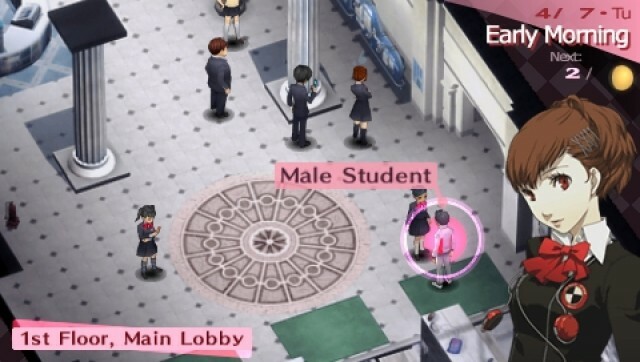 It kinda makes me wonder why they didn't add a female protagonist into Persona 4 Golden. So the biggest aesthetic change from the PlayStation 2 versions of Persona 3 could be considered as more of a downgrade. When you are in the human world, you have no free-roam in a 3D environment and instead you are restricted to a static map of the area and you use a cursor to interact with people, places and objects. When you communicate with characters, all their movements are explained instead of shown through 3D movement. Once I got over the initial change, I was pretty much okay with it and maybe you could even say that the lack of 3D brings the game back to its visual novel roots. In a way, the use of a map makes this version of Persona 3 more fast paced and more suitable for a portable pick-up and play experience. But for those who feel put off by this; Tartarus, the dungeon of the game, is fully 3D and basically identical to the game's PlayStation 2 counterpart. The ability to give direct commands to your party in battle. This was the biggest improvement, as I found that my party in FES, despite not having too bad a CPU, still didn't always cooperate or choose the wisest choices in battle. To be honest, I'm not sure why the developers didn't put this into Persona 3 in the first place, it seems like a no-brainer. 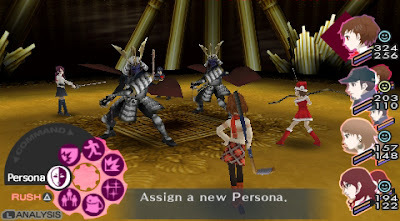 When navigating areas in the human world (and even the entrance of Tartarus) you can press the square button to bring up a list and quickly navigate to different areas, just like you can in Persona 4. This saves so much time and really adds to the pick up and play experience I mentioned. No more do you have to get lost in the school just to find the Home Economics Room. The choice of a female protagonist, as stated above. However, I just wanted to add that she really is an improvement on the male protagonist when it comes to dialogue options. As put on the Megami Tensei Wiki: 'Her dialogue choices exhibit a broad spectrum of emotions, ranging from sarcasm, joking tones, utter seriousness, and otherwise depending on the player's choice.' They also put that 'she is a sharp contrast to the male protagonist who is very reserved and concise where she, on the other hand, is not afraid to interject into conversations where her male counterpart would remain silent'. I absolutely agree with how they put it, and for this reason I've enjoyed playing as the female character much more than the (frankly duller) male equivalent. While playing as the female protagonist, there is a way to prevent a bad event from happening via a social link, a bad event that is unavoidable as the male protagonist. Although I haven't reached this point yet, this is something I really praise, as I love the idea that you really have some kind of possibility to change the way the fairly linear story takes place. Some areas of the game have different music when you play as the female protagonist. It's always great to hear new music from the incredibly talented Shoji Meguro. You go to Inaba, the town where Persona 4 takes place on a school trip! Love a bit of crossover. Don't get me wrong, there are some things that they took away in this version of Persona 3, presumably to make the gameplay more similar to Persona 4, such as a lack of being able to wield different weapon types, but I will forgive them for that, especially considering that the female protagonist's Naginata is straight up awesome. 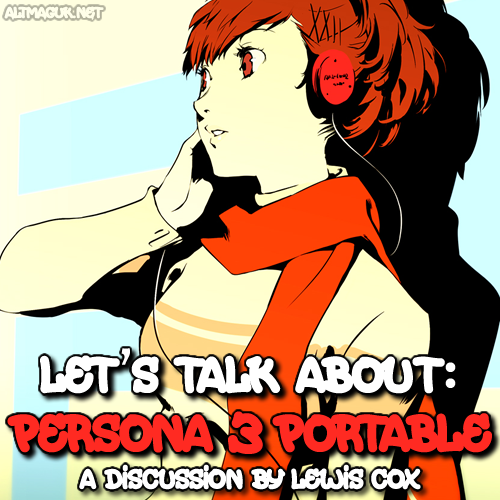 What do you think of Persona 3 Portable? 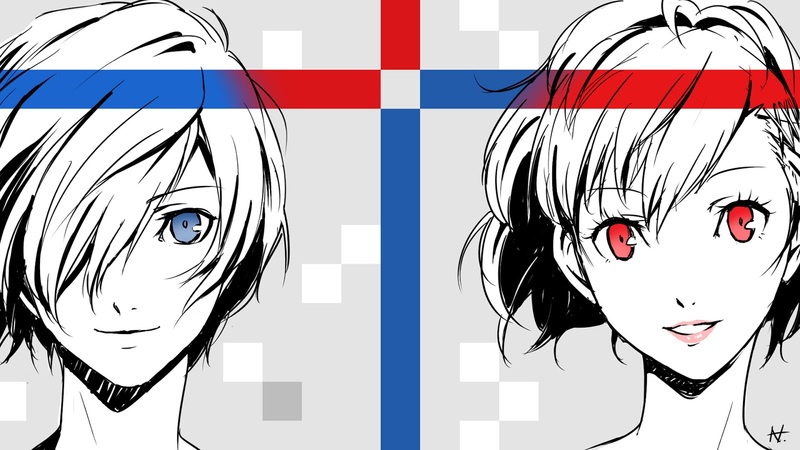 Is it your favourite version of Persona 3? 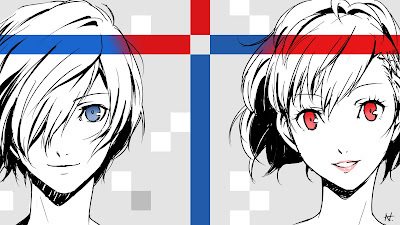 Or do you favour Persona 3 FES? Does anyone alive even favour the original version? Why am I asking so many questions? Sound off in the comment section below or on our Facebook and Twitter pages!